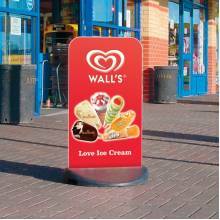 Windtalkers are high quality pavement signs suitable for more demanding conditions, thanks to their stability and durability. 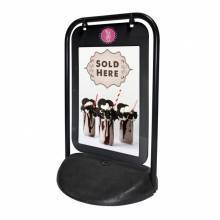 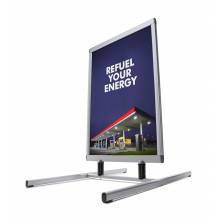 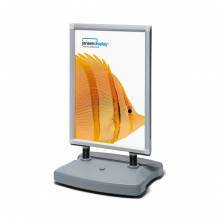 They are typically used on pavements, for conferences and also events. 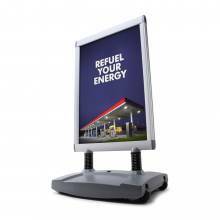 Windtalkers have rigid legs with a water filled base which due to it's weight gives greater stability, thay are easy to move thank to the rollers fitted in the base.